Plants, animals & the earth worksheets help kids better understand and appreciate the natural world. It's important that kids grow to respect their environment. The Earth not only supplies us with the resources we need to survive, it's also amazingly intricate and incredibly beautiful. 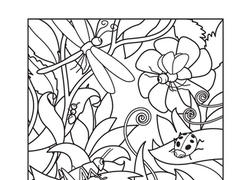 By way of our worksheets kids learn the difference about the great variety of plants and animals on our planet. These worksheets and coloring pages feature fun visualization activities, identification challenges, matching games and much, much more. Check out our plants, animals & the earth printables and find a few for your conservationist-in-training. 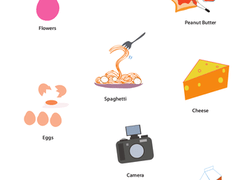 Can your budding learner tell which of these items are living things? As she colors each picture, she'll decide if it grows and takes in air, water, or energy. Play Animal Games: Zoo Friends and Who Am I? 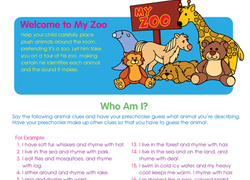 Help your preschooler learn animal names and sounds with two fun games: Welcome to My Zoo, a pretend play game, and Who Am I?, a guessing game. Are socks or worms inanimate objects? This science worksheet helps kids think critically about things they might see on a hike or a walk on the beach. Little farmers will enjoy planting a paper garden with this life science activity! She will get to colour, cut out and sort the different veggies. Around the House: Living or Non-Living? 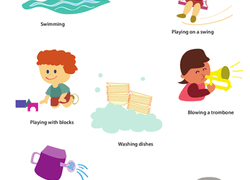 A wonderful at-home activity, our Around the House science worksheet gets your young one to consider the difference between living and non-living things. 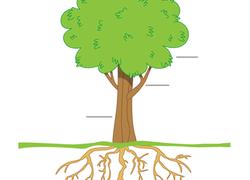 Help your preschooler become more aware of his environment with this plant resource worksheet. It's dinner time at the barnyard! Can your little farmer help feed the animals? Match up each animal to the food it likes to eat. 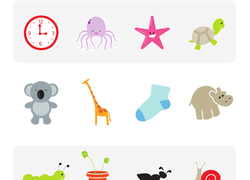 Clock, octopus, starfish, turtle: Which thing does not belong in this group? 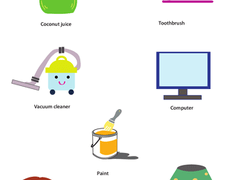 Kids completing this reception worksheet identify the object that does not belong.